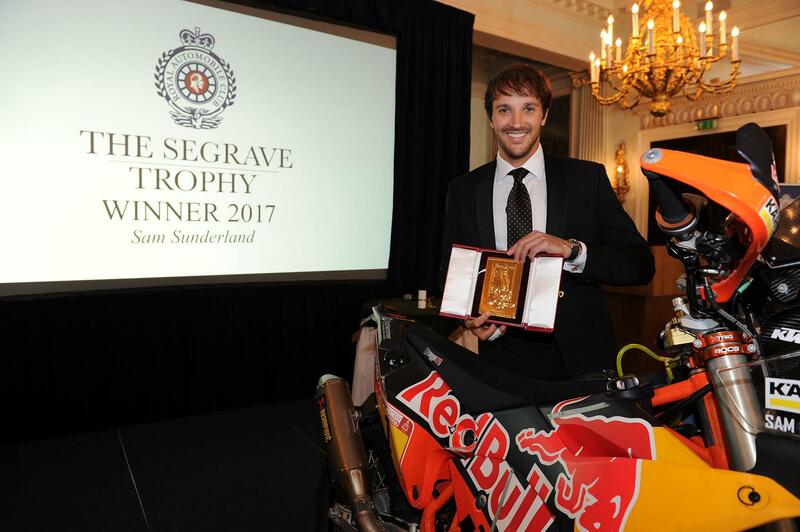 Rally rider, Sam Sunderland has been awarded The Segrave Trophy by the RAC club in recognition of being the first Brit to win the Dakar. Past winners are made up of motorsport royalty and the prestigious award isn’t awarded as a matter of course every year, it is only given when the RAC Club deem that someone has done something truly outstanding. 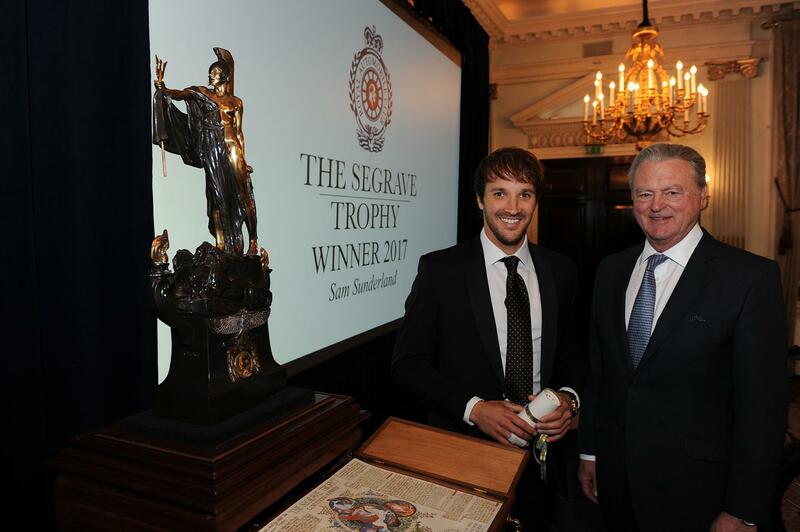 Speaking at the awards Tom Purves, Chairman of the Royal Automobile Club, said: "Lady Segrave commissioned the Trophy in 1930, soon after her husband, Sir Henry Segrave died after breaking the water speed record on Lake Windermere. It was her wish that the trophy would celebrate British nationals who demonstrated outstanding skill, courage and initiative ‒ the spirit of adventure ‒ whether on land, sea or in the air. "It is our honour to pay tribute to Sam’s remarkable achievement in what is considered the World’s toughest endurance race. Sam’s bravery, speed, navigation skills and adaption to temperatures, terrain and altitude are all the qualities that Lady Segrave wished to celebrate and Sir Henry would’ve admired." Sunderland became the first ever British rider to win Dakar last year. Onboard his factory RedBull KTM, he took charge of the race on stage five and controlled it to the finish. Regarded as one of the fastest rally riders in the world, his route to the top has not been easy and the 29 year old has been plagued by bad luck, crashes and serious injuries during his career. But despite the set backs his focus and determination has never wavered and winning Dakar is the testament to his undisputed talent and resolve. He said: “Looking at the history of the trophy some real motorsport legends have been awarded it so I’m really honored that my name will now be on such an illustrious list. I’m really grateful to receive such high recognition within the UK and I think this all helps to spread the Dakar word. This year's race didn’t go to plan for me as I went out on stage four whilst leading, but I’m working to come back stronger and I have the fire in my belly to win another one." For his outstanding contribution to motorcycle road and circuit racing, including setting the outright lap record at the 2015 Isle of Man TT. The greatest living exponent of the TT, with 23 victories to his name. For his outstanding career in two and four wheeled motorsport, including seven motorcycle world championship titles, culminating in the unique achievement of being the only man to win a motorcycle and Formula 1 world championship. 1994 - Carl Fogarty CBE For winning the Superbike World Championship with Ducati. For winning his fourth FIM World Sidecar Championship title. For his long career in motorcycle grand prix racing, Formula 1 and his successes in the Isle of Man TT including his last, in 1979, at the age of 39, following a successful comeback to the event after an 11-year hiatus. For winning the 350cc and 500cc motorcycle world championships and the Senior and Junior Tourist Trophy races in the same year.